My headphones had these rotten old sponge pads on the earpieces. I asked my wife to make me some new ones. She whipped a couple out in about a half an hour and they are the best!!! So fast she was breaking knitting needles! 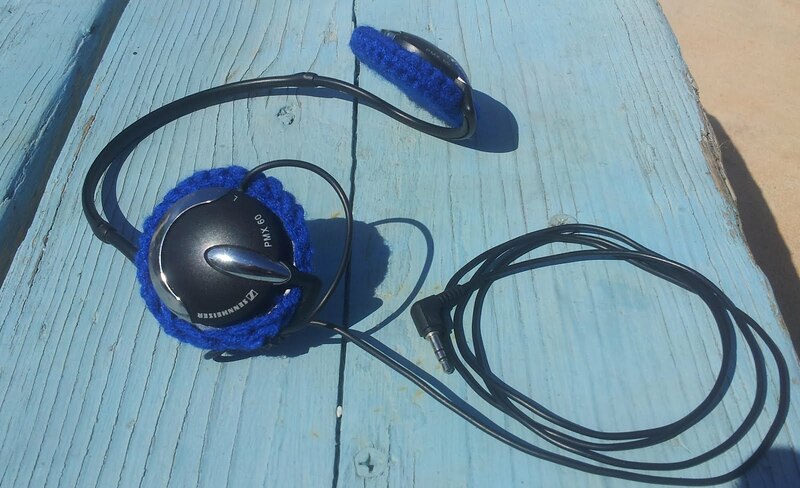 (It’s not knitting, I know..) Now I have the coolest headphones with the best earpads on the PLANET!!! She has really cornered the market on stuff to knit. 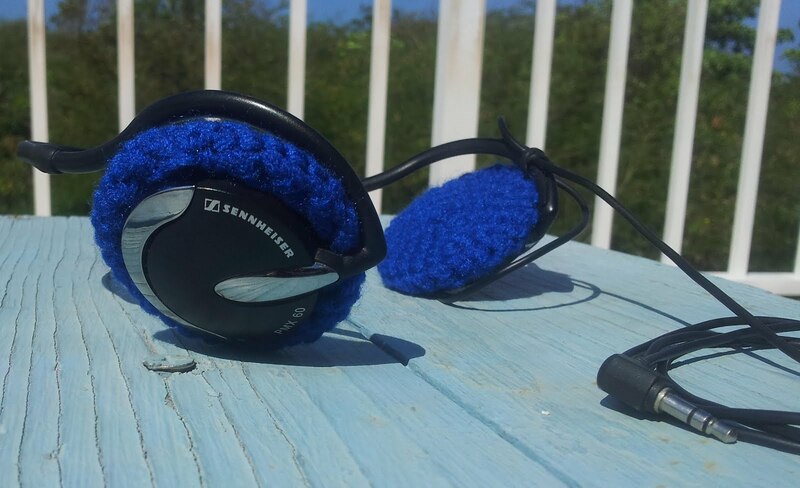 I'm seeing an internet based company in the making…..
You are correct, it's not knitting but crochet… I am glad you like them! you should try making them and selling them..they look great. You have one handy wife there! Well done wifey! Love that idea! So much better, and prettier, than the ugly sponge pads on earphones. Makes me want to get back into CROCHETING. I think your wife corrected you, already : ) Bet your wife could sell those!